Welcome to the RESTful Adventure workshop. Over the next couple of hours we will take you on a journey through the creative process of designing and implementing a simple adventure game. Before we move on, let's make sure everyone can bring up the slides and the code samples. Who has used a web service before and sent a request with something like curl? Who has implemented a RESTful API? Who has designed a RESTful API? You'll learn how to combine a user-oriented perspective with the principles of REST to create elegant web services. Web services that are elastic, maintainable and reliable. Who will do what part. We will be happy to take questions during the workshop, but we may have to punt on some of them in the interest of time. We have reserved a few minutes at the end for QA, and you can always come talk to us after the workshop. So, before we go any further, we need to rewire our brains a little bit. 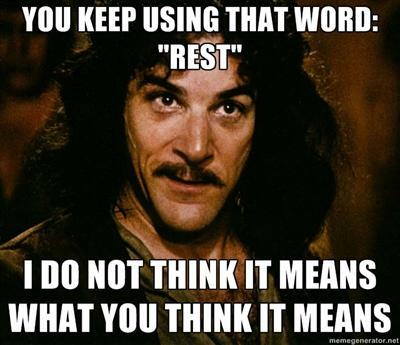 REST is not HTTP - HTTP APIs are not inherently RESTful. REST is not pretty URLs. REST is not RPC over HTTP. We aren't talking about calling remote functions on a server. And finally, REST is not simply a way to do CRUD over HTTP. REST is an architectural style that formalizes the concepts behind the way the web was intended to work. It acts as a guide for designing systems that embody the best characteristics of the web. REST was defined by one of the early pioneers of the web, Roy Fielding, in his doctoral dissertation. 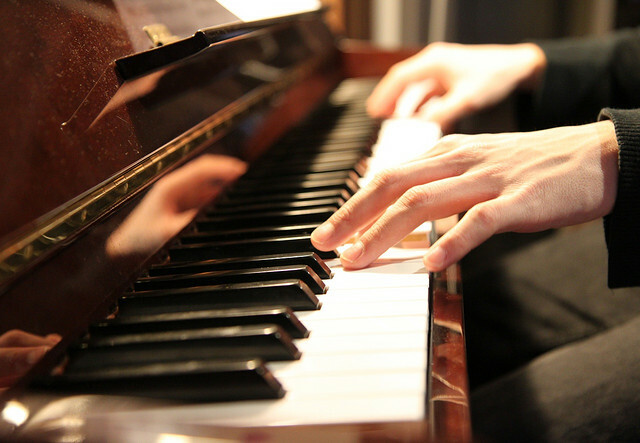 REST avoids the brittleness, scalability, and maintainability problems typical of RPC-based architectures. Rather than thinking about "functions" or "endpoints", as you would in RPC, you think in terms of "resources" and "hypermedia". Roy Fielding defined REST as a set of 6 architectural constraints. Taken together, these constraints provide a mold for RESTful applications. This constraint says that your system must have a clear separation between client and server roles. The stateless constraint doesn't mean that your application doesn't have any state. What it actually means is that every request carries with it everything the server needs to know in order to service the request. Each request is independent of any other requests that proceeded it. This is important because at any time, the network may say "meh" and drop your connection. This is especially true across the internet and over mobile networks. The way REST works around this is by requiring clients to keep track of their own state in between every transaction. 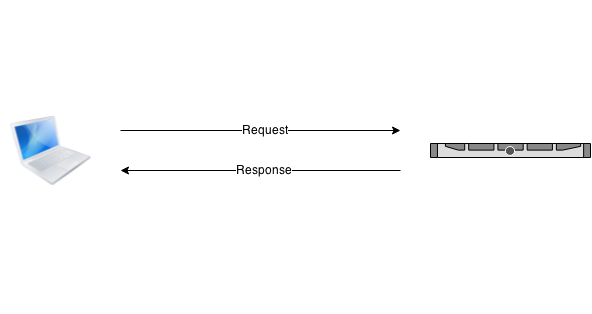 REST provides for caching by requiring the server to be explicit about which resources downstream systems may and may not cache. This allows intermediaries to safely and deterministically cache resources as close to the client as possible. 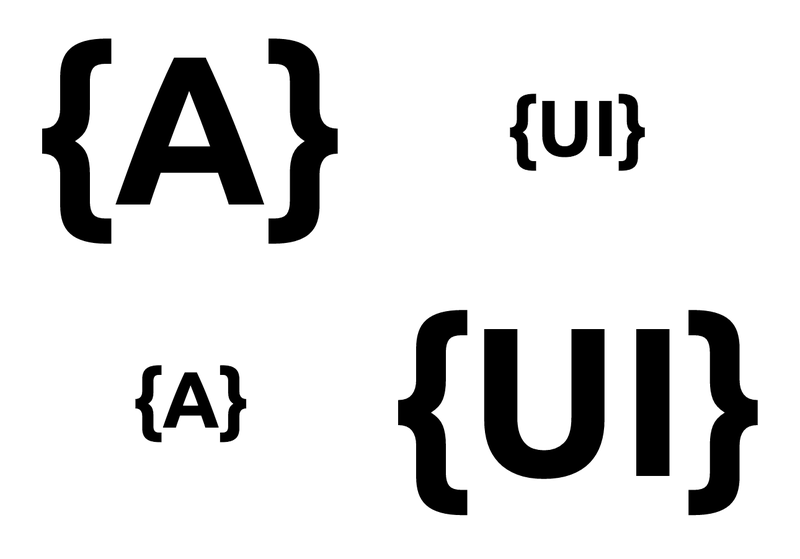 The Uniform Interface constrains every system in the request path to speak the same basic language. This includes a set of syntax and semantics that everyone can assume are true, rather than having to reinvent them for every application. In this way, the Uniform Interface underpins every contract between client and server. You might even say the Uniform Interface is the contract between client and server. More on this later. The layering constraint says that I should be able to stack up a series of client-servers that support the same interface. 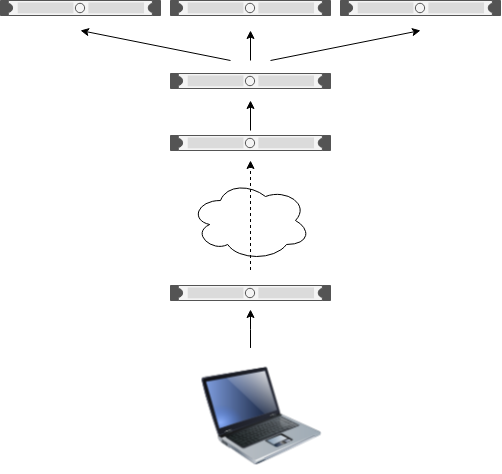 Series of middleware for caching, load balancing, security, etc. Can transparently insert or remove various layers in the request path. Each layer only sees the next one down. Should not know or care about any others. 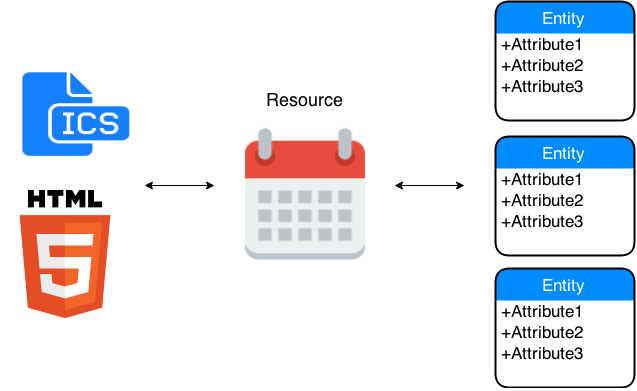 This is an optional constraint that allows the server to delegate processing to clients when that would be more efficient or scalable. also provide dynamic logic to augment the client's limited abilities to understand and process resources provided by the service. For example, game engines typically rely on scripts to orchestrate gameplay. These scripts can be delivered dynamically from the server to the client. REST components (what I am) categorize individual nodes into various roles, with each role conveying a specific set of expectations. 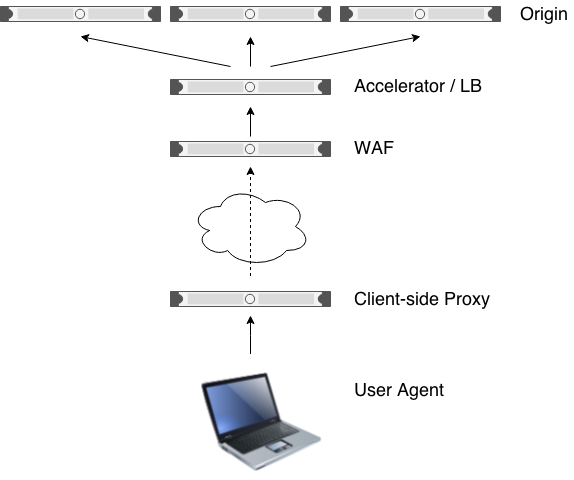 Examples of components include origin servers, user agents, gateways, and proxies. 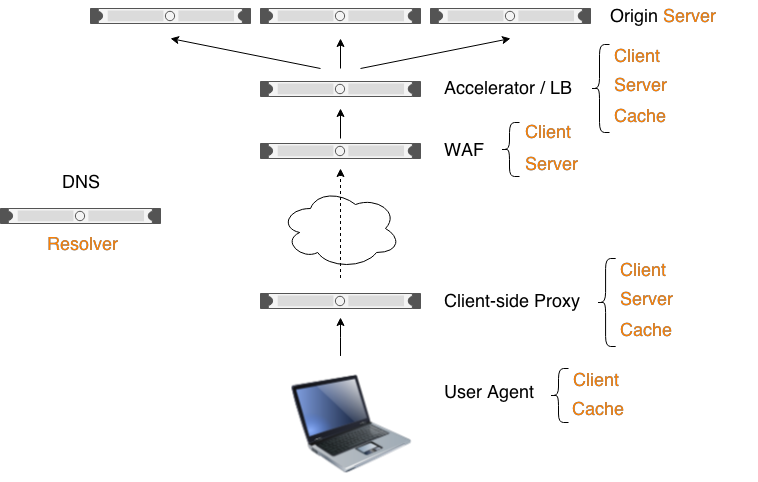 REST connectors (what I do) define the types of actions a node performs, such as caching or acting as a client or server. A given component may implement one or more connectors. A resource is a concept. For example, here we have the concept of a calendar. This is our resource. A resource maps to one or more backend data entities. And on the frontend, a resource maps to one or more representations. In order to fulfill a request, the server translates between representations, resources, and entities. Next we have Control Data. Control Data provides metadata about each message. Control Data also let's you override the default behavior of a connector. For example...to short-circuit a GET request. The final element of the uniform interface...is hypermedia. Hypermedia is arguably one of the most distinguishing characteristics of RESTful APIs. Links represent the relationship between resources, and define the possible state transitions in the system. The client starts at a single entry point into the app and requests a representation of that resource from the server. The server then returns some information about that resource, including a list of links to other resources that the client may follow. The client uses this information to provide a set of choices to the user. The user then makes a choice, whereupon the client invokes the corresponding link in some way. This process repeats until the user's goal is satisfied. 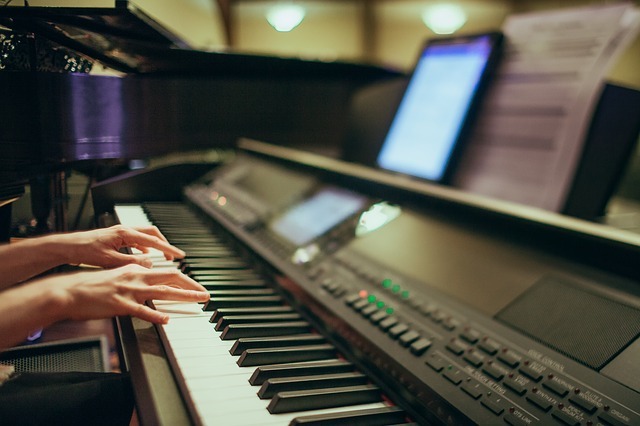 In this way, the uniform interface provides a very flexible interaction model that makes it much easier to evolve the server over time without breaking your clients willy-nilly. Keep calm. It's going to be okay. Be flexible. Media Types: JSON vs. XML vs. YAML vs. Protocol Buffers. Pick one that meets your requirements. Default to JSON. IDs vs hypermedia: I'll just pose a question on this one, how much does thinking of the data model implementation affect design of the API resource model? Pretty URLs: This decision has a bigger impact if you're not doing hypermedia. If you're relying on clients to construct the URLs, the prettiness of the URLs matters a lot early on. Versioning: There's no de facto standard. Put the version in a header, probably the Accept header after the media type. But doing so makes it all too easy to break the API and your clients. If you're not generating the API definition, how do you keep the definition and implementation in sync? But why do you need an API definition if you have the REST uniform interface. 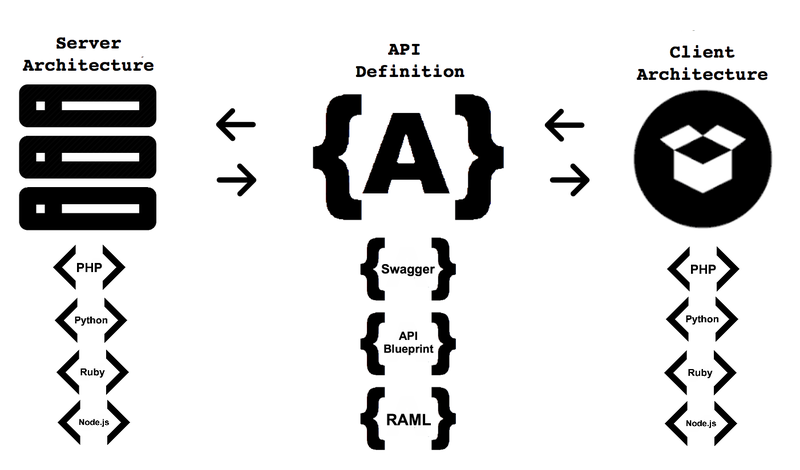 The current state of the art necessitates a lot of API definition. There is much that still hasn't been decided on. And not everyone knows or understands the uniform interface yet. API definitions can help get us there but should eventually take a back seat to the uniform interface. Let's not get hung up on Swagger syntax. If you're frustrated, just use text files. What kind of clients will you support? Take auth for example. It's the first thing developers go through and they always get it wrong the first time. If your error messages are bad, they will walk away and not come back. Give developers actionable errors. Include a URL to a web page where they can get more information. Include a team email address where they can get support. Include a transaction id for error response. Used to easily match an API user debugging their application to the errors on the server side, as discoverable by the operations team running the API. If there's one thing I want you to leave with from the design portion, it's the notion of user-centric design. There's lots of ways to go about it but it can be tough when you're on a small team. One idea is to totally decouple API design and implementation from API clients and testing. Have 1 person come up with the design and implementation. Have 1 person come up with the unit tests and clients. And the only way you can communicate is through doc and bug reports. If at any point the tester/client is looking at server source code, you're doing it wrong. We're going to now take a short break. In the next module we will be working in python, so please make sure you are ready to go with python installed and your favorite text-editor or IDE. If you need help getting set up, please let one of us know and we'd be glad to help. During this next module we are going to implement a RESTful web service using python. We'll approach this by implementing slices of the API at a time. We will need to move quickly, so I'd like to encourage everyone to follow along with the slides in your own browser, and copy-paste the code snippets as we work through the labs. Everett will be walking around to help, so please flag him down at any time during the labs if you could use a hand. Here's the design we'll be implementing. I won't spend much time on it now, but we'll refer back to portions of it as we go along. I'll explain more along the way. It probably isn't a perfectly RESTful design, but it is a fairly pragmatic one and showcases some of the more salient design principles of the REST architectural style. Let's walk through this example line by line. OK, so we've seen what a basic WSGI app looks like. But working directly with WSGI is pretty tedious, so we're going to actually use a lightweight REST framework I developed, called Falcon, to make things easier. Everett mentioned Flask earlier, and that's another valid option. However, I like to use Falcon because it makes it a little easier to teach the REST concepts that we'll be covering. Let's install falcon now. Just pip install falcon as shown here. We'll only be scratching the surface of the Falcon framework today, but if you're interested, you can visit falconframework.org another time to learn more. We'll also be using htt-pie to exercise our API as we go along, so let's install that now. Now we need to download a skeleton api.py file to the project directory. You can do this through the browser or with wget. We also need to download the data access layer module, or DAL, contained in dal.py. Now open api.py in your editor. We will be filling this out in a series of labs. See those funny-looking comments with the angle brackets? Those are placeholders that we'll replace with code as we go along. Each placeholder comment has a unique tag that I'll reference. Next, open up the api.py file and search for the tag *w3*, towards the bottom of the file. Here we define a class to represent a REST resource. It has a single responder method to handle GET requests. When a request comes in, Falcon wraps it with a Request class and passes that in. That's the req argument you see here. Falcon also passes in an instance of a Response class that you can use to return a response to the client. In this on_get responder, we echo the x-name header in a hello message, and set the content type to plain text to override the default. Note that Falcon defaults to returning 200 OK, so we don't need to set that explicitly. Next, find the tag *w4*. 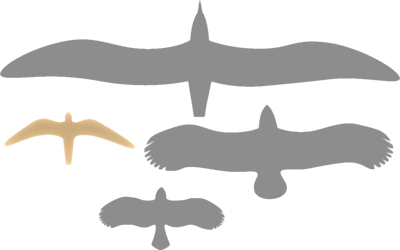 Here we create an instance of falcon.API and add a route. This route says that if the user agent requests the root path of our API, that corresponds to a resource identifier for HelloResource. All set? OK, now let's test our work. Run the hello-world service from the console as shown here. Now let's test it! Open up another console, and send a request to your service using htt-pie, as shown here. Note the convention for passing headers. OK, did that work for everyone? Any questions so far? We'll take this step by step from the player's perspective. As Everett mentioned earlier, we always want to keep the user in mind as we go through this process. The first thing a player needs to do is choose their character. They will have to find out what characters are available, so we'll start with implementing a collection resource to represent a list of characters. Let's remind ourselves what this is supposed to look like. Here's the swagger spec. OK, so let's go back to app.py to implement this. We'll start by adding a route to a CharacterList resource. Go ahead and just comment out that line to remove the test route. Next, locate the tag *a14*. Replace it with a route for the "/characters" path we saw a few moments ago in our swagger spec. The CharacterList class takes an instance of controller, which is part of our data access layer. More about that in a minute. OK, next let's fill out the CharacterList resource. Search for the *a7* tag. We'll modify the on_get responder to look like this. Next, let's implement that _entity_to_resource() method. We'll put it in a base class so that we can reuse the same function later on when we create the individual character resource class. Search for the tag *a1*, and replace it with the code shown here. Then find the tag *a2* and modify the _id_to_href function to look like this. 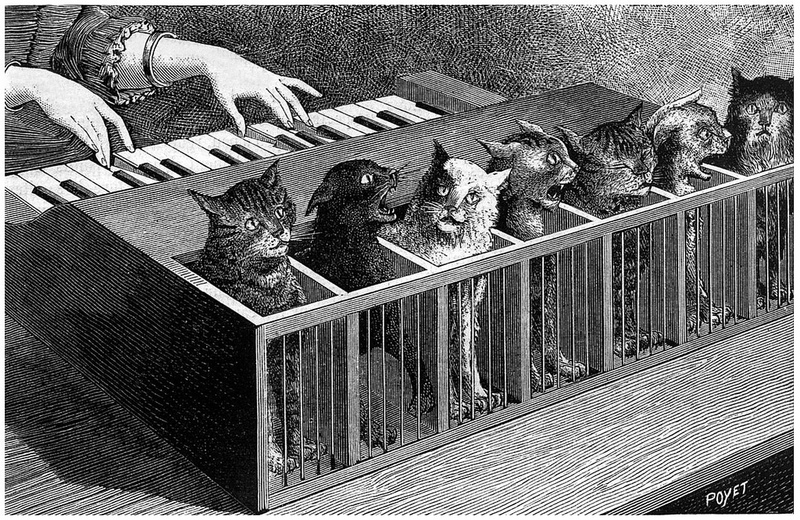 Your api.py file should now look like this. Let's test this out. First, Control-C the running script, if needed, and restart it to pick up the changes. Then in your other console, run this. Great! Now we can list the characters and choose one. But wait. What if we don't *want* to be Knox Thunderbane? Let's give the player a way to create their own character. We'll begin by reviewing the API design. # Falcon hooks or middleware, but we'll keep it inline for now. # could be factored out into a Falcon hook (DRY). Now your api.py file should look like this. Let's take this for a spin. First, Control-C the running script, if needed, and restart it. Then in your other console, enter this at the command line to make sure everything is wired up correctly. As you can see, the Falcon framework knows which methods the resource supports, and responds with the correct Allow header. 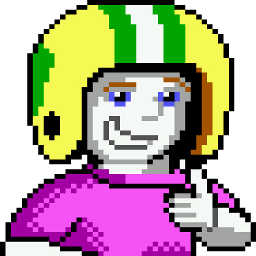 $ http POST 127.0.0.1:8000/characters name="Commander Keen"
And for good measure, let's make sure Commander Keen got added to the list. Run this to list the game characters again. Great! Looks like we're in business. Now that we can choose a character, or create a new one if we don't like any of the choices, we need to pick a dungeon to play. 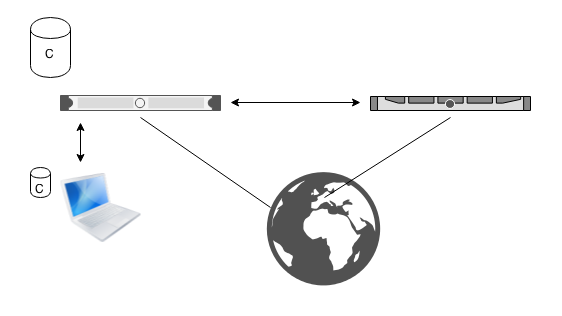 We want to provide the user agent a set of choices that it can display to the player. Here's the relevant part of our spec. The implementation is going to look similar to what we did to list characters. First, search for the tag *a13*. When the UA sends us a GET request, we need to return a JSON representation of the list of dungeons in the game. Update the on_get responder to look like this. OK, now we need to wire up the resource to a route. Find the tag *a17* and replace it with this line of code. OK, so now we have our frontend taken care of. At this point your code should look like this file. Control-C your app and restart it. Then in your other console window, enter the command shown here. Cool. So far we've given players the ability to choose a character to play and a dungeon to enter. What's next? We need to move our character to the dungeon entrance. Let's remind ourselves what the characters representation looks like. Any user agent (UA) can take this list, present it to the player and let them make a choice. In this case, there's just one to choose, so we'll just assume the player picks Knox. The UA then remembers Knox as part of its session data. Next, the UA queries the link to the dungeon list resource, and presents the results to the player to make a selection. Once the player chooses a dungeon, the UA has all the information it needs to move the character to the dungeon entrance room. We'll represent this state transition in our API by linking the character's current location to the dungeon's entrance room. The user agent does this by PUTing the link it obtained from the dungeon resource to the location link specified in the character resource. First, we'll copy and paste the href from the location link we got in our previous query. Next let's copy and paste the href from the Dungeon of Doom's entrance room link. Remember, that's the link with the "room first" relation. OK. Now let's link the character to the dungeon entrance room. We will PUT a JSON representation of a link with a "room" relation type, and an href to identify the entrace room. 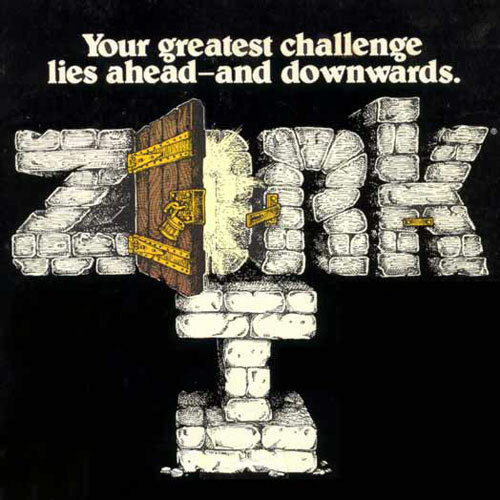 This representation will update the character's location resource so that it points to the Dungeon of Doom's entrance. So let's try this. Enter the following at the command line. OK, we got a 404. That's because Falcon knows we haven't set up a room location resource. Let's go ahead and take care of that next. # of a "location" to the API's concept of a "location". # ID will be the last part of the URL. Then, right below that, replace the tag *a4* like so. 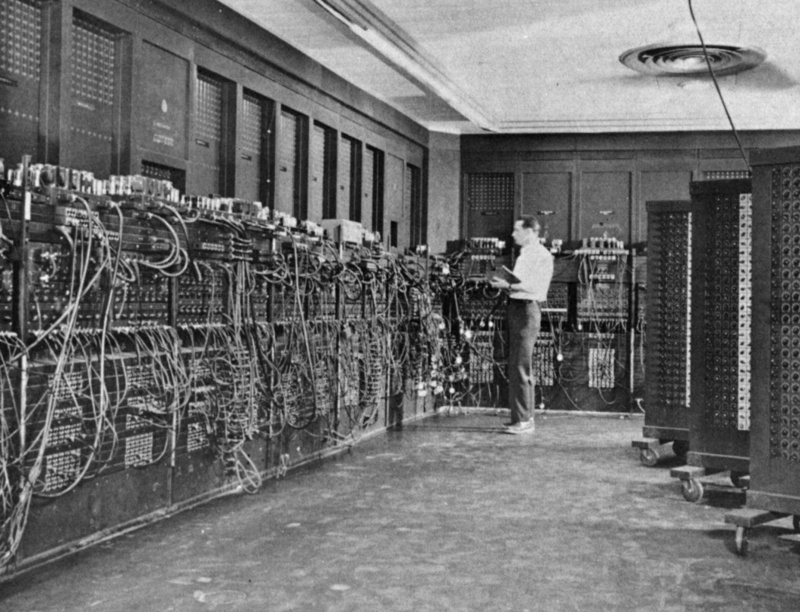 At this point your api.py file should look like this. OK, let's try again to move the character to the dungeon entrance. Restart your app, then in another console run this command. That seemed to work, but let's make sure. Run this to read back the character's location. Success! We're on our way! Lab: Find a way out! Now that we've entered the dungeon, we need to traverse the rooms in search of the exit. UA gets a list of doorways leading out from the player's location. UA presents the list of doorways to Player. Player chooses a doorway from the list. UA moves Player's character to the chosen room. So here's the use case the User Agent will follow these steps. To get a list of doorways, we need to implement a Room resource that will provide a list of links to other rooms. Each of these links represent a doorway out of the room. description: You tried to teleport. That's just not allowed. OK, so we need to implement a Room resource that can return a JSON representation like the example given in this spec. Let's go back to our api.py file. Next, fill in the *a9* tag as show here, to make self._entity_to_resource() work as it should. And then, right below that, find tag *a10* and implement the _id_to_href() method, as shown here. Finally, we just need to add a route to the Room resource. Find the tag *a16*. Replace it with this call to add_route. Before we move on, Control-C and restart your WSGI server to pick up the changes we just made. OK, let's see how this works. First we need to set the stage by moving the character to the Dungeon of Doom entrance. Run this command to list all dungeons. Now let's use the character location URL (that we cached earlier) to move Knox to the dungeon entrance. Now that we have entered the dungeon, let's find our where we can go from here. Let's dereference the room link for the character's current location. We already have that href cached, so we can just do this. So, we'll just assume we have a fancy interface for displaying a list of choices to the user. It might look something like this. Let's assume the player chooses the North doorway out of the entrance room. We'll copy and paste the href from that link relation. Go back to your console and paste this on the command line. Now let's move the character by linking their location to the room the Player chose to enter. Here's the command for that. Step 5: Did we make it out alive? Let's see what we can find out about this new room. Here's the command. let's see what we have here. Shoot! Doesn't look like the exit. In fact, it's a dead end! Southward door. What is thy command? The only way out is back the way we just came, so we'll have to backtrack. So you get the idea. 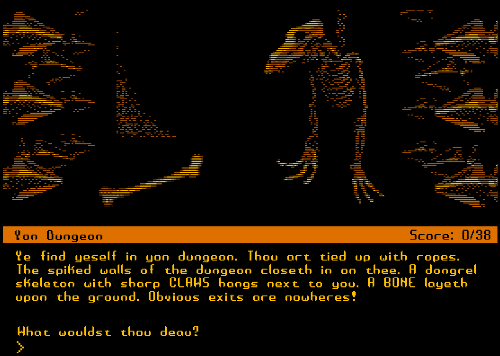 The player would repeat this process, exploring the dungeon one room at a time until they found the exit. If the player temporarily lost their network connection, or they simply got tired and wanted to take a break, the user agent could remember which character they were playing last. Later, the Player could come back and the UA would be able to pick up where they left off. OK, our final lab is a quick look at independent evolution between the client and the server. Can you imagine a world in which each time you made a change to your website, everyone had to update their web browsers to a new version? The REST architectural style makes it possible for clients and servers to be more loosely coupled, so that each node on the network can evolve more or less independently over time. Granted, sometimes a big change can only be made in an incompatible way. However, our goal as API and client developers is to minimize the number of times this has to happen, while still allowing for agile iteration and evolution on both sides. Now, during our RESTful adventure we saw how we can use hypermedia to change the state of the game. This is one example of how REST can help decouple different parts of a system. Since the UA is just following links around, it is easier to evolve the server independently of the UA. 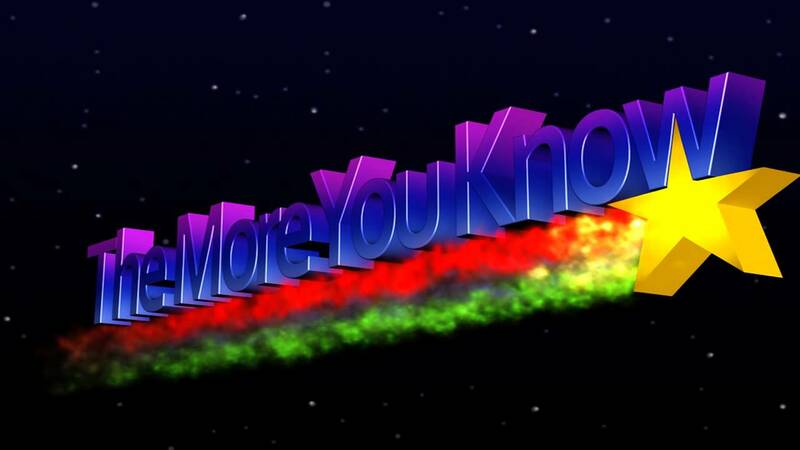 Changing something in the server is less likely to break the UA, because the UA is making fewer assumptions. Let's see an example of this real quick. Go back to your api.py file and find-and-replace all instances of the string '/location' with the string '/foo'. There should be only two instances. The user agent would then simply copy-paste the location href as before. And then proceed to move the character around exactly as before. Note how the user agent didn't have to change its logic at all to handle the URL schema change. This is just one example of how REST allows clients and servers to evolve independently.